Dubai (AFP) - Saudi Arabia has deployed warplanes to a Turkish airbase in order to "intensify" its operations against the Islamic State group in Syria, a senior Saudi defence official has said. "The Saudi kingdom now has a presence at Incirlik airbase in Turkey," brigadier general Ahmed al-Assiri was quoted as saying by Al-Arabiya television late on Saturday. 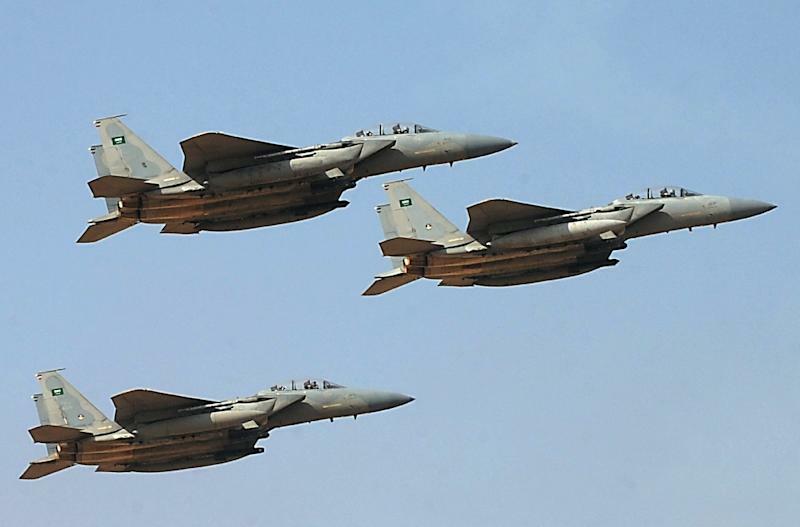 "Saudi warplanes are present with their crews to intensify aerial operations along with missions launched from bases in Saudi Arabia," Assiri said, without providing further details. Turkish Foreign Minister Mevlut Cavusoglu said Saturday that Saudi jets would be deployed at Incirlik, and that the two countries could participate in ground operations against IS in Syria. Riyadh and Ankara are both opposed to Syrian President Bashar al-Assad, whose foreign minister last week warned that any ground intervention would "amount to aggression that must be resisted". Assiri said the decision to deploy an unspecified number of jets to Turkey followed a meeting in Brussels of US-led anti-IS coalition members, who decided step up their fight against the jihadists in Syria and Iraq. He stressed that Saudi had made its decision in coordination with the coalition and said that a ground operation was being planned. "There is a consensus among coalition forces on the need for ground operations and the kingdom is committed to that," Assiri said. "Military experts will meet in the coming days to finalise the details, the task force and the role to be played by each country." Turkey on Saturday hit Kurdish and Syrian regime positions in northern Syria, further complicating efforts to end the war, which has killed more than 260,000 since it began in 2011.